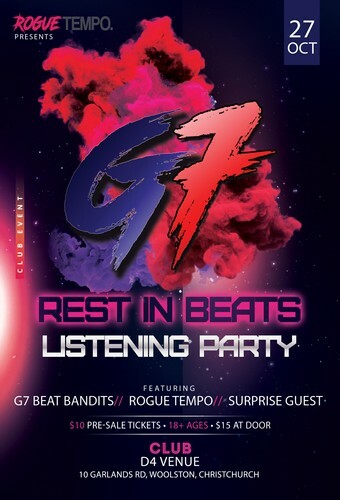 Rogue Tempo Media Entertainment invites to experience the release of G7's first Studio Album Release. A collective of the most talented and hard working producers take you through a roller coaster of the different flavors of Hip-Hop, Rap and RnB featuring various artists that will blow your mind. Hosted by Rogue Tempo courtesy of D4 Venue, this event will be at one of the best venues in town.